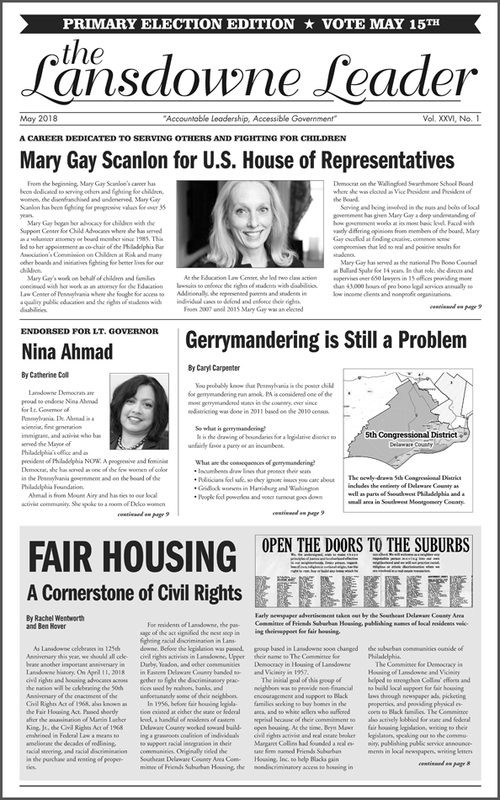 PRIMARY ELECTION EDITION • VOTE MAY 15TH! Help Us Make Lansdowne the Town that Votes! In Today’s Schools, ‘Living Well’ May Mean Simply Surviving: What’s In a Motto? First-time Voters: Read this First! Lansdowne Events: Book Sale, Pancake Breakfast, STEAM Festival & More!